In life, some lessons are intellectual but not as practical. Others cause us to stare eternity in the daily mirror. One such lesson is the one with which Jesus concludes the Sermon on the Mount (Matt. 7:24-28). He tells us that ever day we live in a way that will be one day revealed. What kind of a builder are you and what does what you do today, get revealed in eternity? An invitation is generally received with the request to RSVP. Those letters come from a French expression which simply means "please respond." We usually end our lessons with an RSVP. 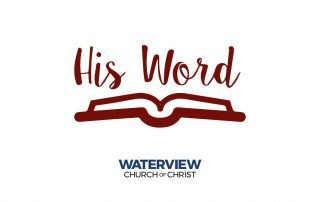 In this lesson we look at the biblical background of the invitation Jesus offers to us in Matthew 11:25-30. 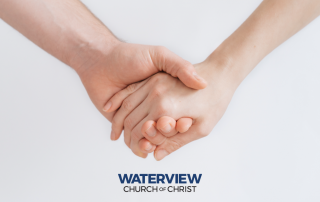 We also discuss methods of responding to Jesus that are unique to Waterview. We like "lists" and "facts." The Bible contains some lists and lots of facts, but it is so much more. Yet, in Matthew chapters 16-20, there's what we might call a list of some of the greatest things. This lesson explores how these things impact our decision to follow Jesus and serve in his church. Matthew 14 contains three very familiar stories that are like a miniature world that we live in today. This lesson takes us on a survey of these stories reminding us that while the world seems against us, we should take advantage of our opportunities to make a difference but when we fail God is always there to rescue us. We tend to climb the mountain where the Great Commission in Matthew 28:19-20 with a mind full of pre-conceived notions. Perhaps the men who heard it saw it more of a challenge than a commission. What was required then as well as now is more messengers. Our annual contribution to raise funds for missions at Waterview is designed to get more messengers into the world.